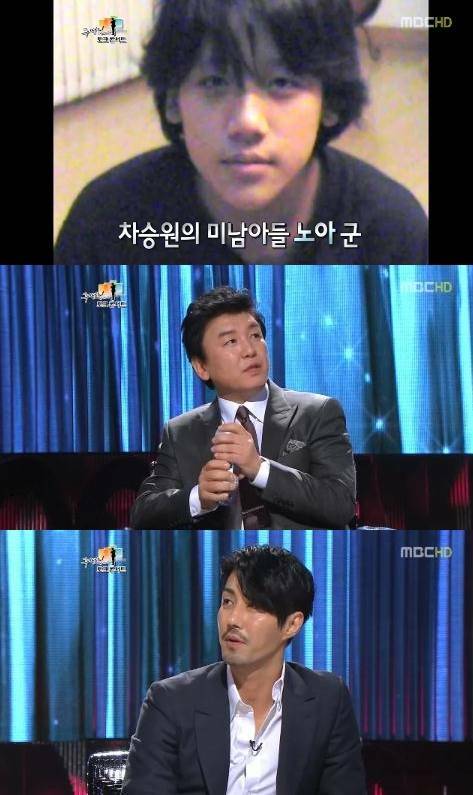 Cha Seung-won's son Noah's picture was shown on TV. There was an interview with Cha Seung-won on the MBC TV program "Joo Byeong-jin's Talk Concert" on December 8th. Cha Seung-won is well known as a 'fool for his daughter'. He had attended a sports meet with his young daughter. He said, "It's not a big deal. I'm not the only one who did. It's pressures me because people make it sound like I'm the only father who was there". His son Noah was also shown. He is over 20 years old apparently. Cha Seung-won said, "It's been a while since I got married. I think I've spent more time with my wife than my parents". "Cha Seung-won reveals his son Noah, already 20 years old"
[Spoiler] "Fermented Family" Park Jin-hee, an awful boss?